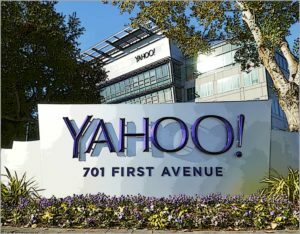 Curated search could set Yahoo apart from automated search services. The tech news is awash with comments regarding the new Yahoo CEO Marissa Mayer. Most pundits are claiming the job is insurmountable as Yahoo is a confused mess with no direction. But most of the “gloom and doom” predicted for Yahoo is based on it’s falling market share for search. Search is important for search giants Google, Bing, and Yahoo as it’s the basis for connecting ads to eyes – no eyes equates to no click-throughs on ads which equates to no revenue. Google rose in popularity mostly because of its simple interface and superior search results. Those superior results were mainly the consequence of a superior search algorithm. Google sends “bots” or “web spiders” across the internet to automatically read every web page then using an algorithm (a complicated set of rules), Google ranks the results for the incidence of topics. I’m sure I’m oversimplifying, but this is basically what I believe determines page rank when you search for a topic on Google. Yahoo and Bing currently rank pages using a similar procedure. Here’s where Yahoo makes its move. Instead of competing directly with Google and Bing, using bots and algorithms to determine page rank, use humans. What a novel concept. First websites submit their pages to Yahoo via an online site application. This application would include fields for all kinds of metadata such as industry, product, geographic location, etc.. But here’s the key, each site application would be followed up by a human to verify the accuracy of the application. With unemployment so high worldwide, hundreds of desk jobs requiring humans to verify web site information would not be expensive or hard to fill. Of course, Yahoo would still have “bots” to follow up to ascertain when sites change dramatically. Then, once again, a human would verify. While Google and Bing return hundreds of thousands of sites of questionable value. Yahoo could return a hundred or so sites of very high quality. Think about it, how many pages of results do you really look at when you “Google” something. Chances are that if your answer is not on the first two, you enter new search criteria. This “less is more” philosophy could distinguish Yahoo from its competitors in a big way. Think of the “Yellow Pages” for the internet.